Another SILA video taken Wednesday 9/27/17 of the SWGE construction from the Mark Twain. At 6:00, quite a bit of steel structure for rock work has been installed on the front (south side) of the BE building. Once the trees on the new berm grow in most of the rock work around the BE attraction won't be visible from Rivers of America. The latest installment from Yensid 55. As usual another great video from Mark and his daughter Magen showing very detailed step by step SWGE construction progress, this one for the month of September 2017. Mark obviously has some construction knowledge and does a great job explaining what is going on in the video. 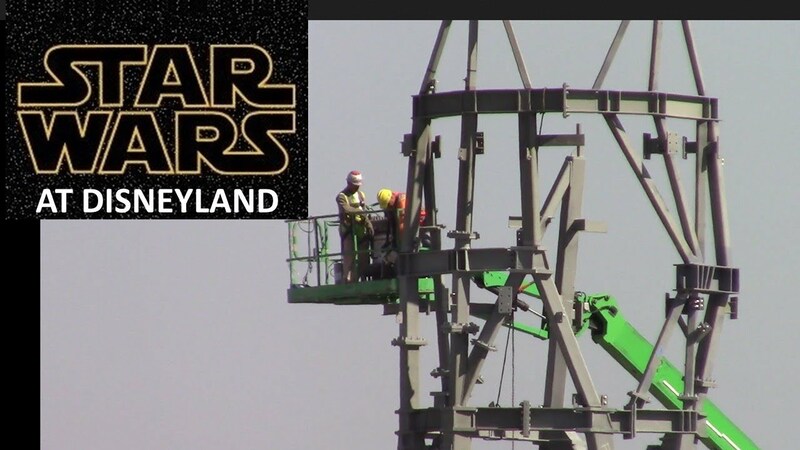 They get many different angles of the construction that you don't see in many of the other videos. All of the different angles, using dissolves to compare current work to previous stages of construction and the narrative by Mark provide a very good overall view of SWGE progress as it is today. 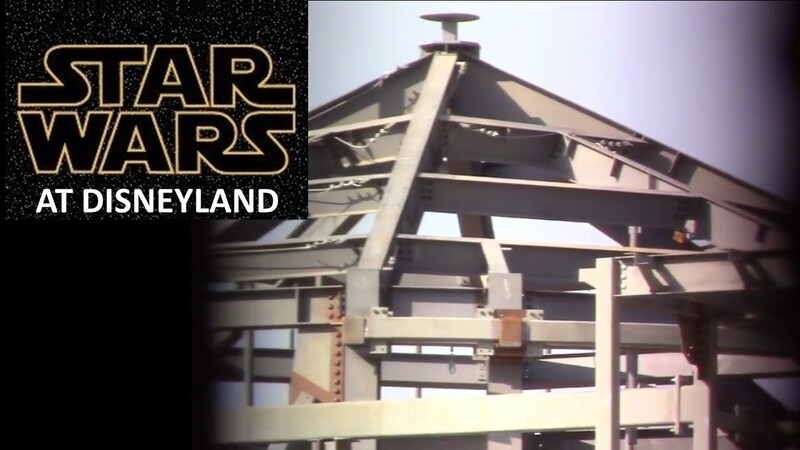 This video shows the development of Star Wars Land (aka - Star Wars: Galaxy's Edge) during September 2017. Last edited by Hammer; 10-04-2017, 06:34 AM. SILA gets a nighttime video on 10/03/2017 with construction lights on. Quite a bit to see! The green lights at 3:22 are just to point out where the stairwell is? An update from SILA taken in the late afternoon on 10/3/17 as well. There sure is a lot of HVAC equipment and ductwork on top of the BE building. They have to move a large amount of air for such a huge building so I guess it shouldn't be surprising, just very interesting to see. Usually, duct work is just below the ceiling of the building. I don't think I have ever seen this much on top on any building anywhere. I wonder if there is also going to be the usual amount inside the building or if the purpose of putting it on the roof is to have more space inside and/or so that they can use the ceiling for special effects, like say stars and other projections related to space? Maybe it's up there for easier access for maintenance? I also wonder if any of the equipment on the roof of BE is part of a chiller plant rather than just a normal building's HVAC. They have chiller plants between HM and POC and east of Space Mountain. I don't know of any others. 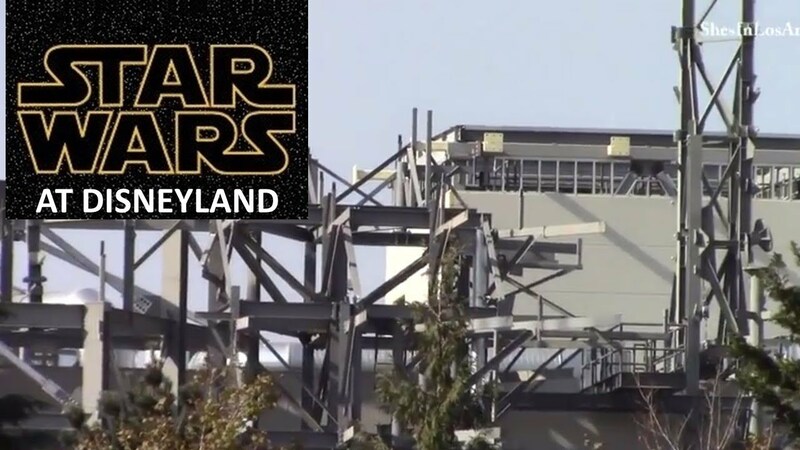 If there was ever a need for another chiller plant, you'd think Star Wars Land and its two huge buildings and various smaller ones would be it. 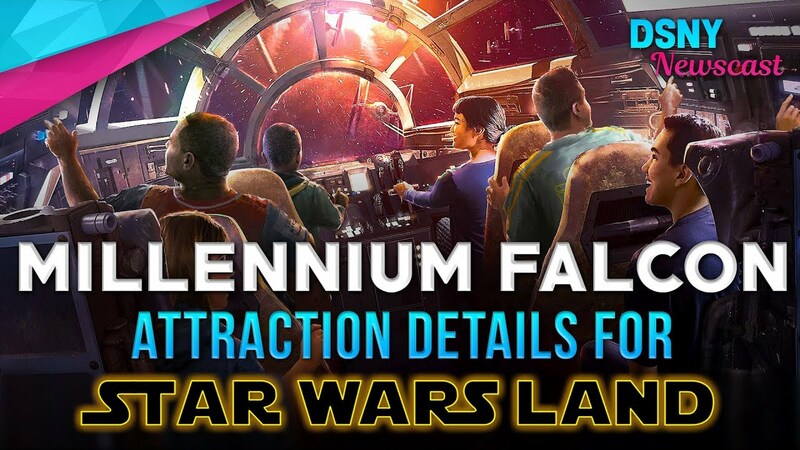 I know there was quite a bit of speculation a while back about the nature of the Millennium Falcon ride. bioreconstruct on Twitter has taken some great aerial photos of Star Wars Galaxy's Edge at DHS. 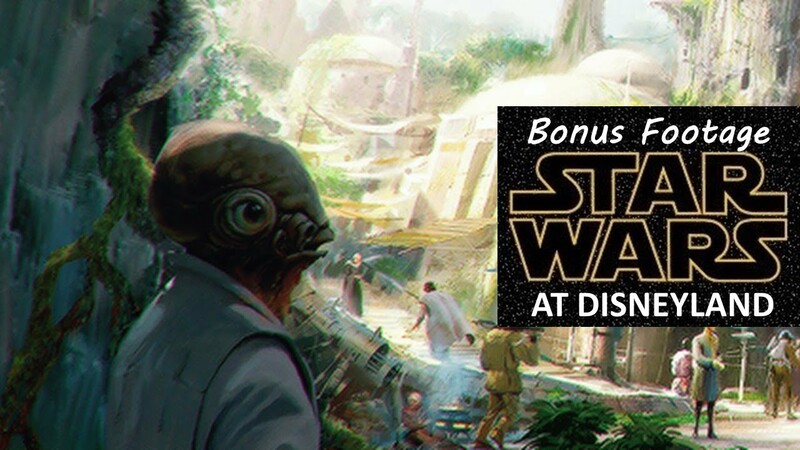 With regards to the Millennium Falcon ride in particular, the DSNY Newscast shared some thoughts about the structure of the ride's simulators and how they are arranged. I'm not sure if this is all speculation, if he has a source, or if this has been reported elsewhere, but the whole concept is pretty interesting. I like the idea of not seeing other guests as we appear to board the cockpit and having a personal experience with the ride. The loading process for Avatar FoP seems pretty similar (in a small group) but he's correct in that you can see many other guests also experiencing the ride if you turn your head. Still, I am very much looking forward to this, probably even more than before. It would be nice to know if he has a real source or not because this all looks pretty legit. You can also see now how guests will travel to the pods. Down the walkway between one pair, then turn right or left into a tunnel that goes under part of the attraction into the center, then into the pods, likely exiting to the outside. That's what those concrete walls leading under each circle were, tunnels to get to the center. 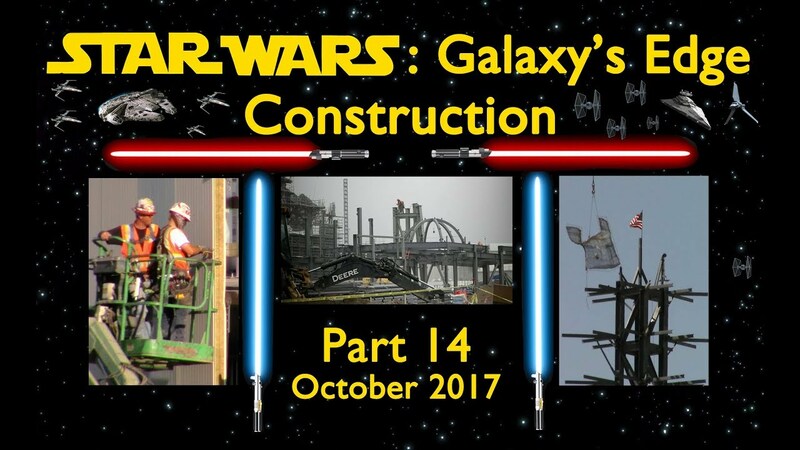 A new SWGE construction update from SILA video taken Tuesday 10/10/17. Not much work going on for a Tuesday, at least as can be seen from the M&F parking structure. There's less and less to see from this vantage point as the exterior paneling is installed on the show buildings...still interesting though. Not much work going on for a Tuesday, at least as can be seen from the M&F parking structure. It could be that construction was shut down for Monday (especially) and Tuesday due to bad air quality from the fires. A new SILA video taken yesterday 10/13/17 updating SWGE construction as viewed from Big Thunder Trail. Even though the perspective is pretty narrow peeking through the construction wall, some very interesting construction details can be seen from this point of view. Another SILA video from Friday 10/13/17. This is SWGE construction as viewed from the Mark Twain. A lot of new steel support structure around the BE building can be seen from this vantage point. It's a bit difficult orienting as to where exactly the new steel structure is with regard to the North, South, East and West sides of the building, but listening to the narration on the Mark Twain helps somewhat. 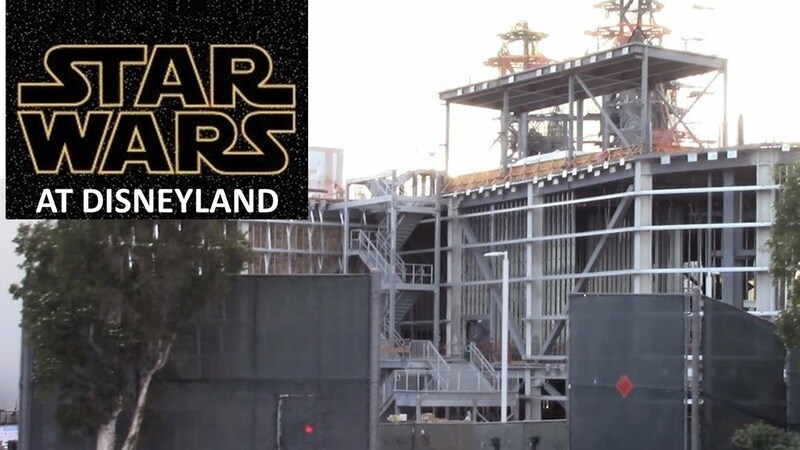 A new SILA video from yesterday 10/20/17, viewing SWGE construction from Disneyland Dr. and the M&F parking structure. They are making great progress on the rock work, they now have a good portion of the tallest rock formation over the MF building covered with wire and mesh tiles. At 6:10, a close​​​​​​ up view ​of steel structure for fire escapes on the north side of the BE building. 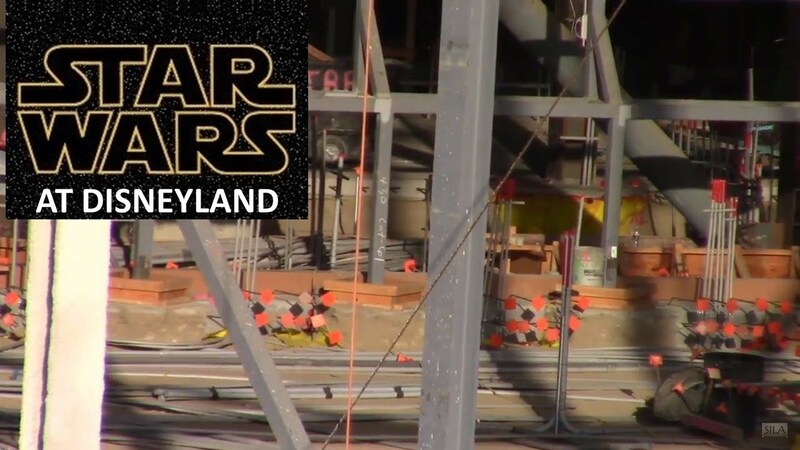 8:00, they're pumping more concrete into the Launch Bay area in the BE building, lots of detailed concrete work going on in there. At 9:00 an ICE machine...interesting. 11:40, the west side of the BE building is now prepared for the external siding which will pretty much end our view of anything happening inside the attraction. 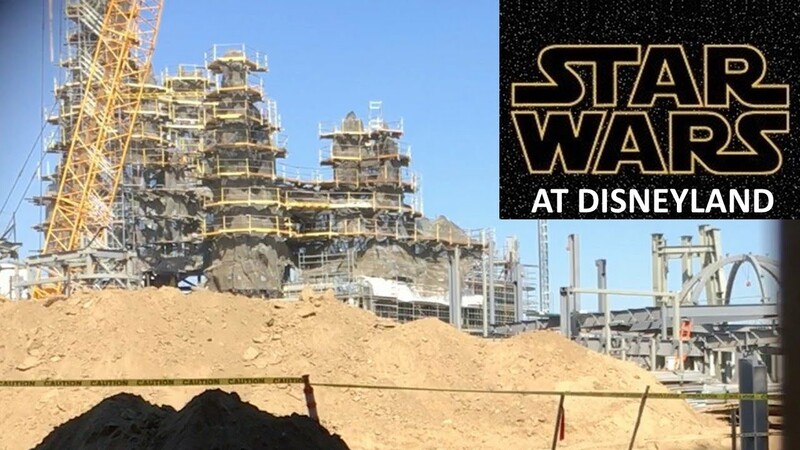 At 19:40 there aren't any scaffold supports or steel wire and mesh rock forms on the Disneyland Dr. side of the shorter rock formation to the left of the tallest...it doesn't appear as though they are going to finish the back side of that lower area but it really won't be visible from street level anyway. at 12:00 the ICE machine is still there, but the small building it was against is gone. Wonder what rooftop it went to? None. It's not general construction practice to put portable offices on rooftops. It was most likely a portable construction office for one of the subcontractors and either they didn't need it anymore and it was hauled away on a truck or moved to a different location on the site out of view. Two new SILA videos updating SWGE construction from yesterday 10/27/17. This is the view from the Mark Twain. Starting at 1:30, some good views of the steel support structure being installed on the south side of the BE building. The rock formation that will be slightly tilted should be recognizable in the SWGE artwork and model. This is the construction as viewed from Big Thunder Trail. At 3:00, the steel structure for a dome has been installed. At 3:33, a wider angle look that allows us to see where the dome is as compared to the rock formations on the MF building. It's really starting to take shape...these are some of the best views through the fence at the Big Thunder Trail entrance tunnel we've seen. Thank you Jane! In this screen cap, you can clearly see the stone arch and the tall peak to its left on the BE building that are apparent in the latest vids and photos. I want you to know, nobody cares more about your stupid problems than I do! A third SILA video from 10/27/17. This showing SWGE construction from Disneyland Dr. and the M&F parking structure. The tilted rock formation on the BE building as seen in the illustration above is clearly the second tallest in SWGE so far, it's really fun to watch what we've seen in the model becoming a reality. 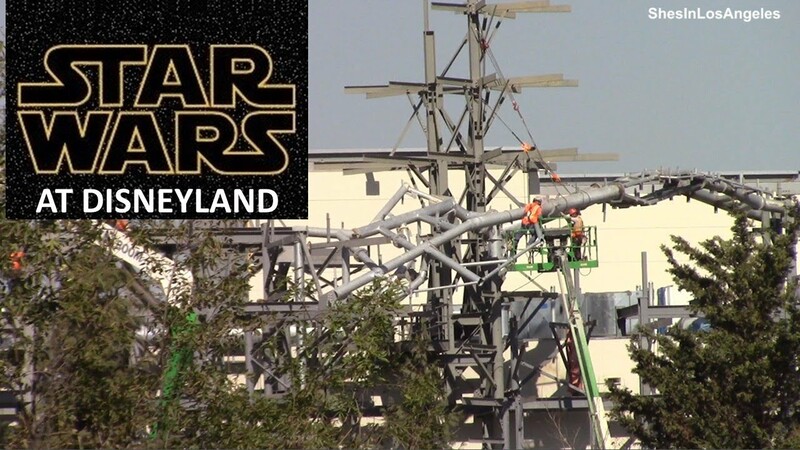 Here's some photos of the construction on Star Wars land taken October 10th from the parking garage. The fire was still burning resulting in a bit of haze early in the morning (no where near as bad as it was the day before), but it cleared up in the afternoon. Hope I did this right, this is my first time posting pics here. Another Step-by-Step video from Yensid55, this one documenting the SWGE construction for the month of October 2017. 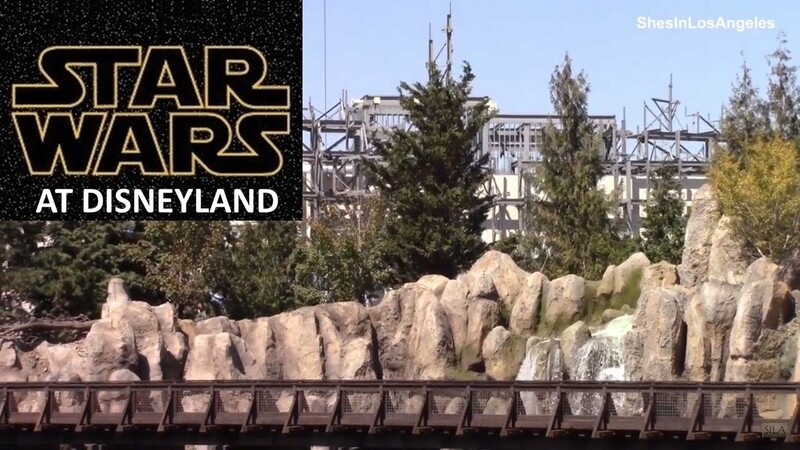 As usual a great video from Mark and his daughter Megan, they do a good job of explaining the construction and relating it to the concept art and model. They also have some good night video of the BE and MF buildings with lights on getting some good close-up shots of their interiors. Also some interesting stills and video taken in the early morning on October 19th whit the sun rising behind the construction site. They clearly put a lot of effort into making these monthly videos, which shows and makes them really fun to watch. 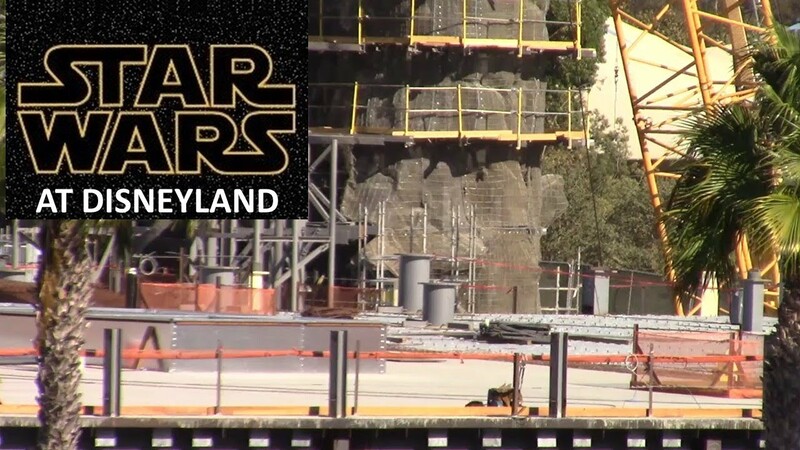 This video shows the development of Star Wars Land (aka - Star Wars: Galaxy's Edge) at Disneyland during October 2017. All times are GMT-8. This page was generated at 02:06 AM.